Kaiserdisco - Hallodri EP - KD RAW - kaiserdiscos Webseite! 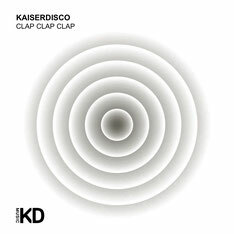 For the 27th release on KD RAW we present you the first Kaiserdisco EP of the year. With last years popular productions such as Rude EP on Suara, Stork & Crane EP together with Karotte on Elevate and Form & Figure EP on KD RAW, Kaiserdisco always have their fingers on the pulse when it comes to producing top quality techno. Kaiserdisco says "The idea behind the EP and especially the track names is that we started to collect lost German words which the people used to say when we where pretty young, or even our grandfathers used to say. The meaning of „Hallodri“ is a young easygoing male who used to be quite streaky." "Fummeltrine" on the A SIDE is an energetic techno track full of rolling beats, a stunning drop in the middle and the typical signature touches to make this track a highlight in your sets! With "Banause" on the B SIDE you get a hell of a Techno track, the one you love the Kaisers for! The german word „Banause“ means a person who misses any kind of interest and understanding for any kind of art and who has no idea how to deal with it.